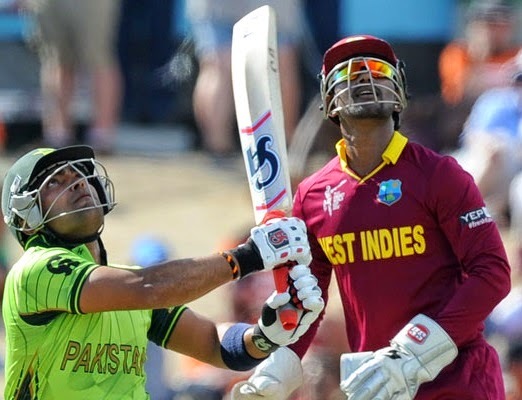 Pakistan lost their second consecutive match in the ICC Cricket World Cup 2015 from West Indies on Saturday by a huge margin of 150 runs after which they are not at the bottom in group standing of Group B. In the first match Pakistan was defeated by historic rivals India. after two consecutive defeats from India and West Indies Pakistan is now in do or die situation and it will have to win all the remaining 4 matches Including the one against South Africa to qualify for the quarterfinals. In their next match they will be facing Zimbabwe on Sunday 1st march at Brisbane Cricket Ground, Woolloongabba, Brisbane. Pakistan will have to win this match at any cost to stay in the tournament. Pakistan will have to beat Strong South Africa and talented Ireland. In first two matches Pakistani fielders shown extremely poor performance and left several catches. performance of batsmen was also very poor. Team will have to perform in all three departments of batting, fielding and bowling to show different results in remaining matches.